That the Salman Khan production Loveratri is set against the backdrop of Navrati is a fact known to all. Heavily inspired by the Gujarati culture, the film will feature various elements that are specific to the state. So, it doesn’t come as a surprise that Garba will be an integral part of the film. 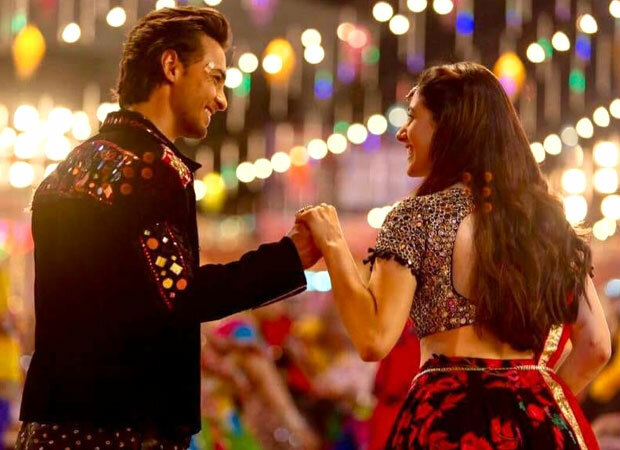 And now to retain the Gujarati flavor, the makers have gone a step ahead and recreated a folk song from the language ‘He Ranglo’, for the Aayush Sharma debut. Composed by Lijo George and DJ Chetas, the recreated version is choreographed by Vaibhavi Merchant. The idea to recreate the song came from director Abhiraj Minawala and Salman Khan. “We required a song that had a strong connect to Gujarati culture. And since we’ve mostly seen everything related to the state in a caricaturish way in films, we wanted to highlight its strong points. Our music supervisor got in touch with Chetas and Lijo and they came up with a song in just half an hour,” said Abhiraj. The filmmaker further revealed that the film’s entire cast is seen dancing to the song that showcases the power of love and Garba. “It was shot in the streets of London and my brief to Vaibhavi was to recreate Gujarat there. We needed to make sure we respect the original song but at the same time, we have brought in a certain freshness by picturizing it with new faces and keeping this version young and light on the ears,” he concluded. In fact, we can see a glimpse of this song as well as get a sneak peek into its remixed version in the recently released teaser of Loveratri.